So I finally tired of banging my head against SP2 needing a hotfix to work, and all the hassle of slipping it into a task sequence or waiting for it to be deployed to the client post build. SP3 was the way forward. 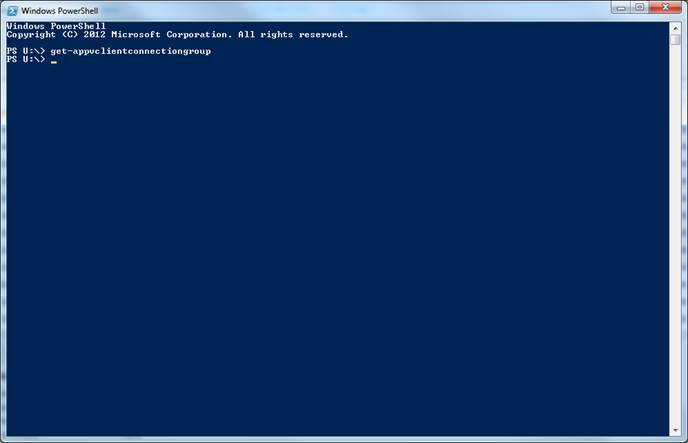 I decided to rollout Windows Management Framework 4 first, as that was a dependency for the client. Initially I hit a wall of dependency errors which resulted in nothing happening. 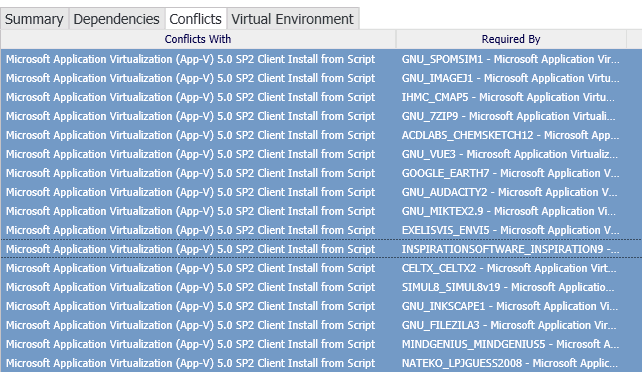 I tracked this down to a conflict between the Windows Management Framework v3, a requirement for App-V 5 SP2 and Windows Management Framework 4, a requirement for App-V 5 SP3. Awww yeah yeah… awwww no. 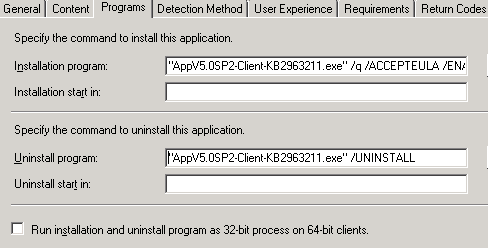 I removed the WMF 3 dependency from the App-V 5 SP2 client, and WMF 4 landed safely. No, really. I do this for a living. Someone forgot to include a /norestart option on the uninstall. I swift corrected that, however the SP2 client *still* insisted on an unannounced reboot. yet again I found myself having to work with SP2 and the option of only running the deployment when no user was logged on. 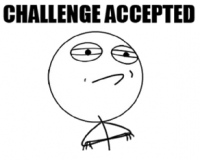 Okay, so now my test bed is all SP3’d. However I had no virtual applications! I went back to the monitoring node within Config Manager and looked at the SP3 deployment. It was again a dependency issue. All of our virtual apps have the client as a dependency, so where App_V 5 SP3 was deployed, it failed due to the dependency requirement for App-V 5 SP2 or SP1. I went through all the virtual applications and updated their dependencies, removing SP1 and adding in SP3. I set SP3 to install if required, but gave SP2 the higher priority. Any existing clients with SP2 will be left alone; that way I can control the rollout. Any PCs without SP2 will get the client, and at SP3. I did find post deployment that there was an awful lag between the SP2 uninstall, SP3 install and redeployment of virtual apps. Some machines had absolutely no issues, some sat there for days with a list of virtual applications to install. This entry was posted in App-V 5.x, SP3 and tagged App-V 5, App-V client upgrade, Service Pack 3, SP3, WMF 3, WMF 4 on February 11, 2015 by Leldance40k. Quick bit of history. In App-V 4.x we had something called Dynamic Suite Composition to link the independent apps. With Config Manager 2012 and App-V 5, we have something called a Virtual Environment. I had a wee bit of bother getting it work properly the first time. I ended up pushing out a Virtual Environment to all Cluster PCs without being able to control it. 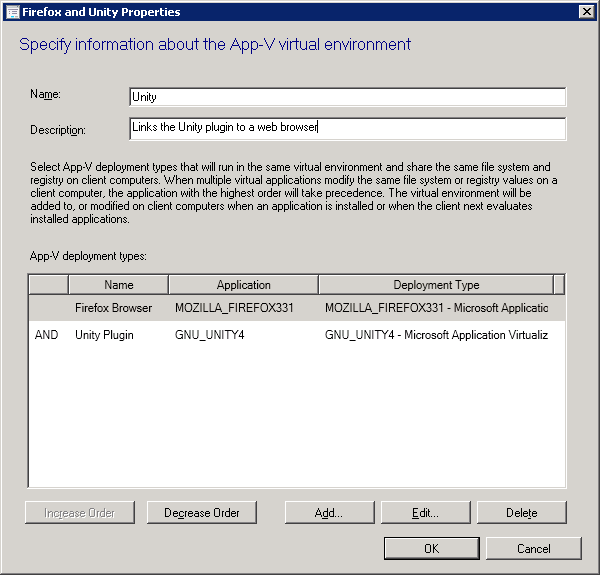 I couldn’t quite work out why I had a Virtual Environment name (in this instance Unity) AND a name again for the “container” of the two apps in the VE (in this instance Firefox Browser). Turns out, I had created a Virtual Environment, and setup a rule which said deploy the Virtual Environment *IF* Firefox or Unity are present. Not good, and hence why my original efforts resulted in the VE going everywhere! I had got things a bit muddled. 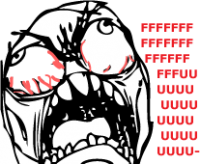 Oh Rage Face. Pure win. 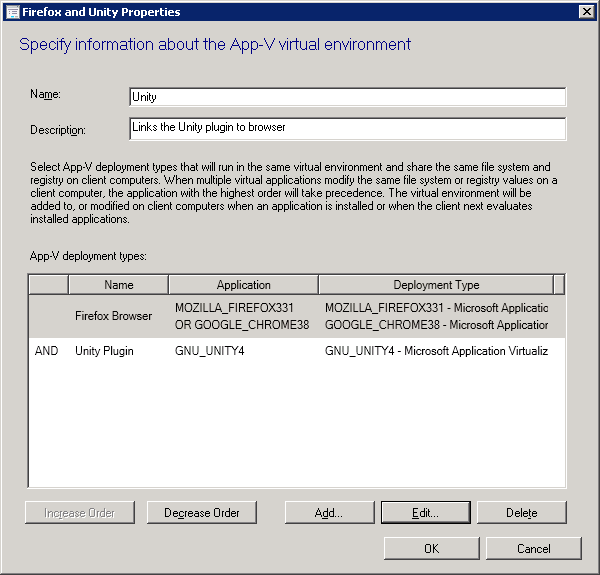 The name of the VE is Unity, and each “container” now has the relevant app. Plus I can now use an *AND* relationship. So I am saying roll out the VE if Firefox *and* Unity are present. The below PowerShell screenshot sows that even with Unity offered and Firefox installed, the VE is not present! So I expanded the concept, and added Chrome to the “browser container”. It worked fine! I was surprised by this as I packaged Unity with only Firefox expanded to the local system. I would’ve thought I’d also need to expand Chrome to capture any file changes needed for Chrome. I guess the app is clever enough to get by! 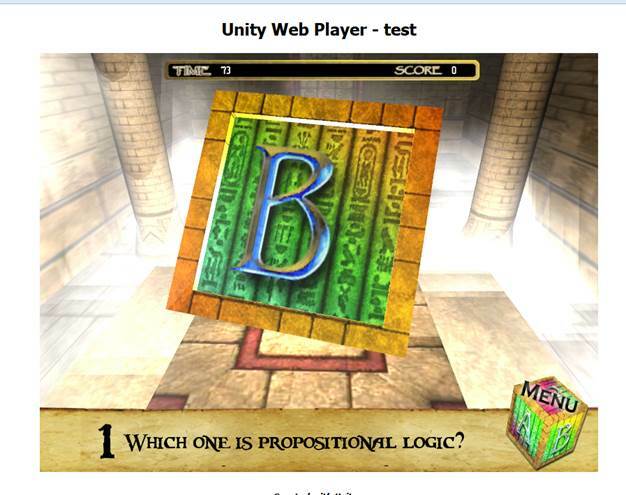 The below screenshots show Unity working in Firefox. This has to be the most annoying game I’ve come across. GTFO. Anyway, that was a brief blurb about VEs. The next time I package Firefox, for one of the damn near bi-monthly updates, I’ll strip out tings like Authorware and Scorch, and try those as bonafide separate App-V packages! This entry was posted in App-V 5.x and tagged App-V 5, Configuration Manager 2012, SCCM 2012, Virtual Environment on November 20, 2014 by Leldance40k.